Happy to see the final cover visual for the forthcoming new book of mine, co-authored with Loretta Lees (Leicester) and Ernesto López-Morales (University of Chile, Santiago). 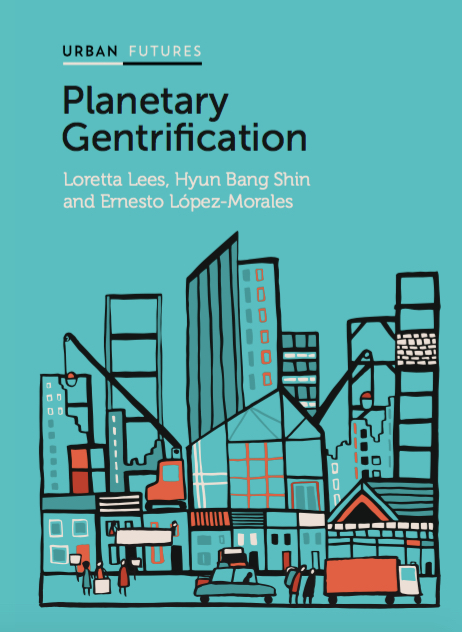 This book reflects on our collective project to rethink gentrification outside the usual Western suspects, and to locate gentrification in wider processes of urbanisation. Rich with empirical detail, yet wide-ranging, Planetary Gentrification unhinges, unsettles and provincializes Western notions of urban development. It will be invaluable to students and scholars interested in the future of cities and the production of a truly global urban studies, and to all those committed to social justice in cities.